When E3 was looking like a JRPG-free zone, Square Enix came out and saved the day with Final Fantasy news across multiple games in the series. This includes plenty of news for the popular MMORPG Final Fantasy XIV: A Realm Reborn. The game will be receive patch 2.4 which upgrades the game to include a new class, a new job, new quests and to quote a translation from Square Enix's conference: "...people within Eorzea will be able to pledge their eternal love and or friendship in a ceremony of eternal bonding. And this will be open to people regardless of race, creed, or gender." The Rogue class will be a stealth based battle class that utilises dual weapons, speed and the ability to poison enemies. Adding to this, this Ninja class will feature the Rogue classes abilities and add some ninjitsu magic into the mix. You can see them both in action in the above video. 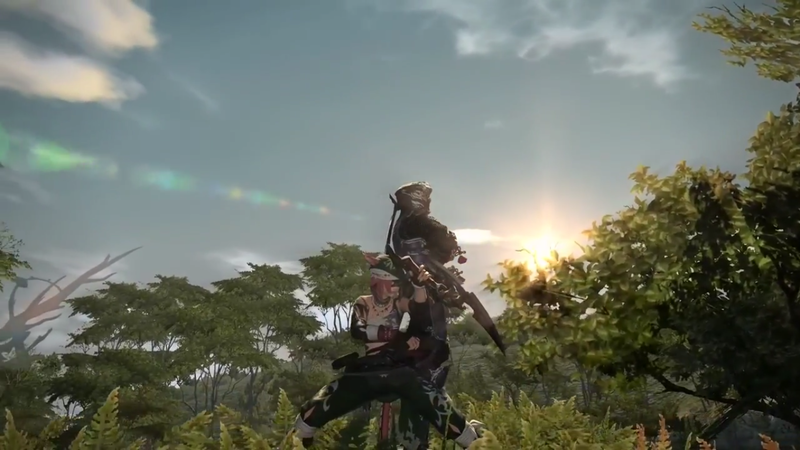 This shows a new quest that will be available in Final Fantasy XIV: A Realm Reborn. You can spot Shiva in this trailer and apparently you get to fight her! Along with this epic new game features, the game will now support marriage of all genders. A fine choice, Square Enix. With all this epicness coming, please excuse me while I go and renew my subscription. You can buy your copy of Final Fantasy XIV: A Realm Reborn for PC, PS3 and PS4 from Amazon. Please note: while the game comes with a 30 day subscription, you will need to buy a paid subscription to keep playing after that.